Being able to hide apps is one thing that quite a lot of people wish iOS would offer, but it doesn’t and if we’re honest, it probably never will either. If you use a jailbroken device, then you are in luck because there are plenty of tweaks that offer security features such as hiding apps from the iPhone and iPad Home screen, but not everyone can, or wants to jailbreak their device just to make an app disappear. Now there is one way that you can have your cake and eat it, or at least hide some of your apps while still being able to use them, and importantly, without having to jailbreak. Those boxes have been ticked before in the iOS 8 and iOS 7 days thanks to some strange bugs and workarounds, and now we have one that should work with the latest iOS 9. 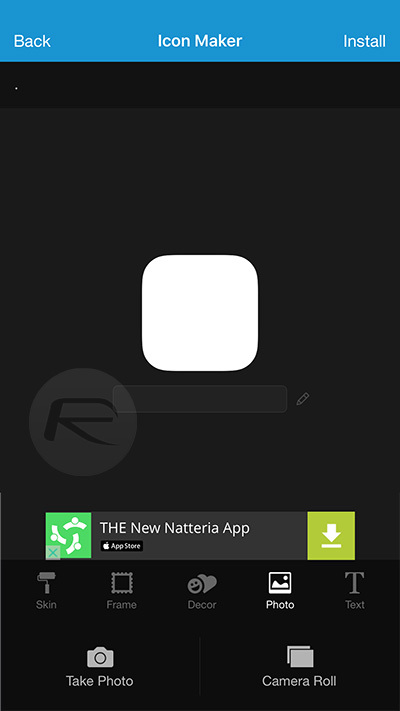 It’s a bit clumsy, and there are plenty of reasons not to bother, but if you want to have some apps installed on your device but not have people able to see their icons, then here is how to go about making that happen. Step 1: First off, you’re going to need one of two wallpapers. One is gray, and one is white. Neither are particularly attractive, but you will need to choose one in order to give this a try. Pick one, or both, and save them to your iOS device’s Camera Roll. Step 2: Apply one of the two wallpapers with the Still setting selected. Step 3: Next, head to General > Accessibility > Increase Contrast. If you chose the gray background, then ensure that Reduce Transparency is toggled on. Chose white? Then toggle it to off. Step 4: Create a folder containing the apps that you want to hide, and set it up with a blank name. 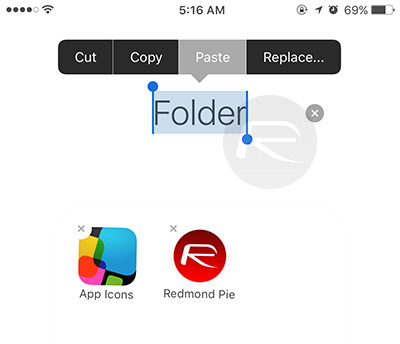 To do that, edit the folder, and paste the blank characters between the following braces over its name: [⠀⠀⠀⠀⠀⠀⠀]. Step 5: At this point, you should have a folder with no name, and the background of all of your folders should have disappeared. 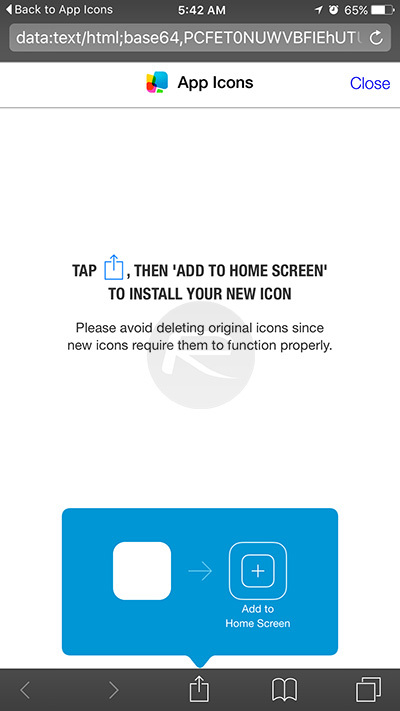 Step 6: Download and install App Icons Free from the App Store. You’re going to need it to create “blank” icons. Step 7: Launch the App Icons Free app, tap Create Icon and then the Go To Link button before finally selecting Photo > Camera Roll. Step 8: Choose whichever wallpaper you used earlier. It’s still in your Camera Roll. Step 9: In the URL field above, enter a period, and in field below the icon, paste the same blank spaces that you used for the folder. Tap Install, and then Install again. 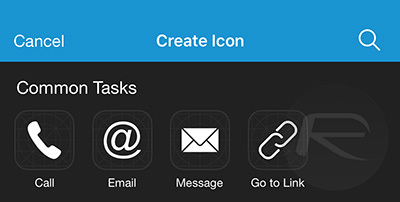 Step 10: Follow the instructions for adding the icon to your Home page. 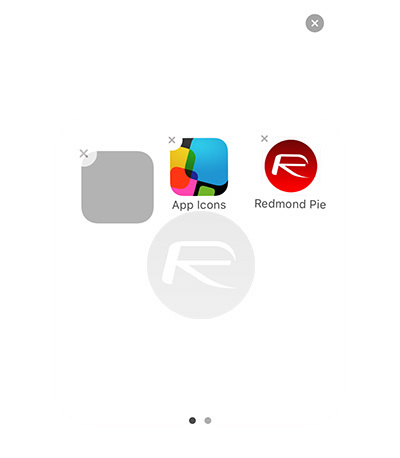 Step 11: When your blank icon has been created, add it to your folder and then move the apps you want to hide onto a page other than the first one within that folder. 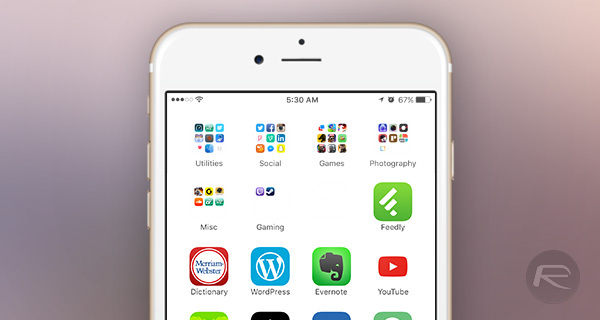 What you should now be left with is a folder that completely blends in with the Home screen’s wallpaper thanks to the blank icon in it. Tapping the invisible folder and then swiping over to the second page of apps will reveal everything you’re trying to hide. 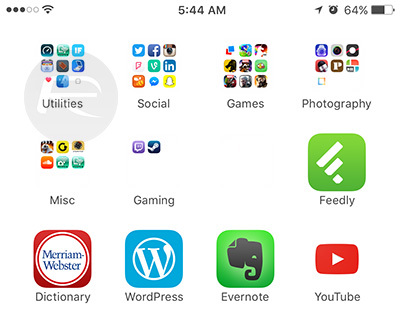 It’s magic, although it can be a bit flaky with iPhone 6s Plus or iPhone 6 Plus thanks to their differing screen resolutions and how they handle folders. 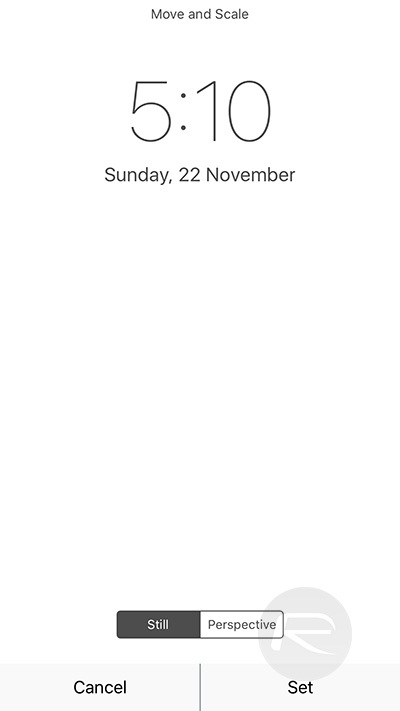 Like we said, it’s not exactly elegant, but if you really must hide apps, then this is one way to do it, so long as you like white or gray wallpapers! 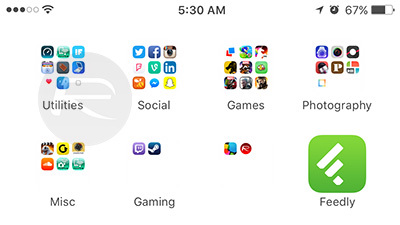 It’s simpler to create a single group and put all of the apps you cannot delete there. They’re not invisible, but they are out of the way. Yes, that’s what I do, then just move them to the last page. As a switcher from Android….This has been one of the many features I’ve been missing a lot…..